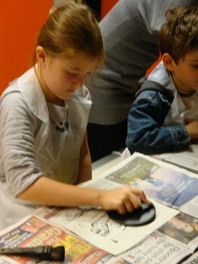 Japanese Woodblock Printmaking is suitable for age 10+. With adult assistance, it can be done for age 8+. 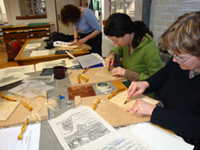 Students will learn traditional Japanese Woodblock Printing techniques which are used by Hokusai and other famous Ukiyo-e artists. 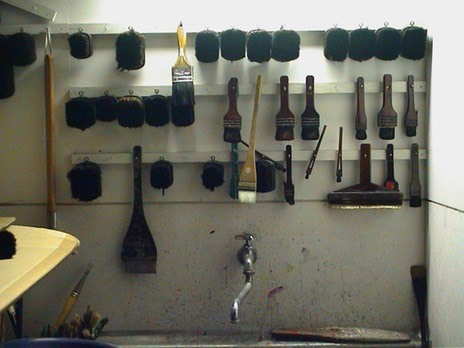 Hiroko offers different levels of Japanese Woodblock Printmaking courses depending on students’ experience. 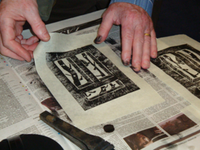 Unlike conventional western printmaking, Japanese Woodblock uses no heavy mechanical presses and printing is done with relatively primitive tools. The printing ink is water-based so it is environmentally friendly. You can see more pictures of the adult workshop from the site below. 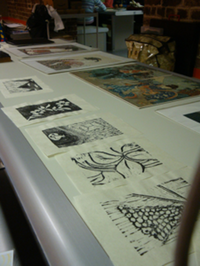 Hiroko runs a Japanese Woodblock Printmaking course for the British Museum Schools & Young Audiences Education. Ths course is for AS/A2 & GCSE Art students only.